Pillows are the best way to dress up or change up a space! 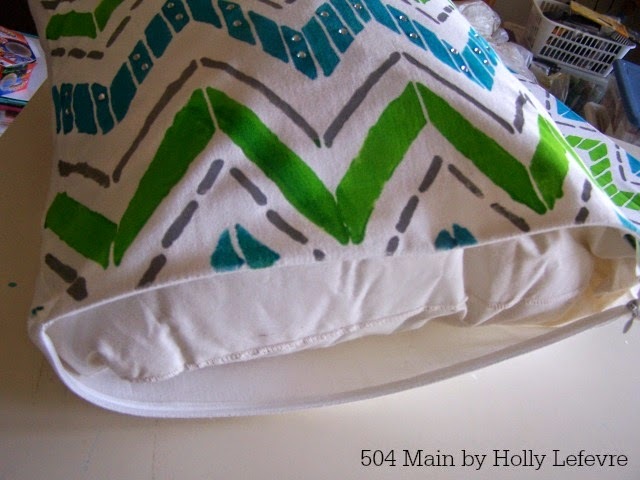 but now I can make my own DIY Designer Pillows (and you can too)! and had so much fun making some new pillows for my home! So...I decided to make outdoor pillows. Yes, I know the temperatures are creeping down, the rain or snow is falling and most people are dreaming of cozy fireplaces...but dang it, I have been waiting months for my pool and deck to be done and I am going to enjoy it (with the help of a heater and a fire) and decorate it when it is done. We already have some furniture...and I just could not resist making some pretty pillows. 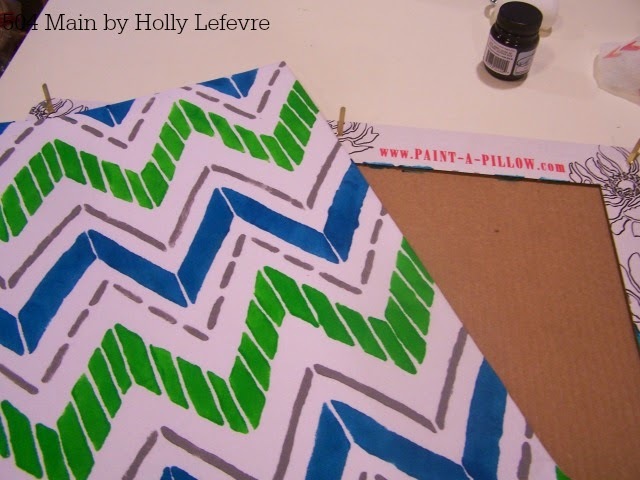 Making designer pillows is a breeze with Paint-A-Pillow. This sister company of Cutting Edge Stencils, makes it easy for ANYONE to create unique pillows using their pillow kit. 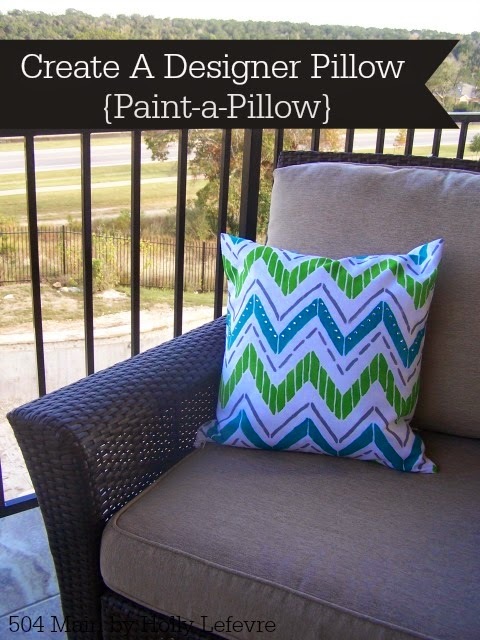 You will now believe how SIMPLE Paint-A-Pillow has made this process! First I went online to Paint-A-Pillow and selected my stencil. I chose the Tribe Design. There are so MANY amazing stencil designs to choose from - modern, natural, floral...there is something for everyone! 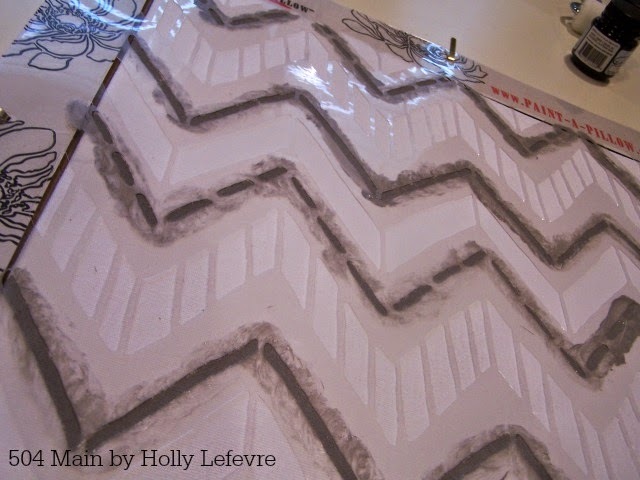 The kits come with all the supplies you need to make one pillow: a stenciling frame (which is so awesome! ), 17 x 17 zippered canvas cover (in natural or white), pillow form, stencil, mini roller and stencil brush, and fabric paint of your choice. One color comes with your kit, but I selected a few more. 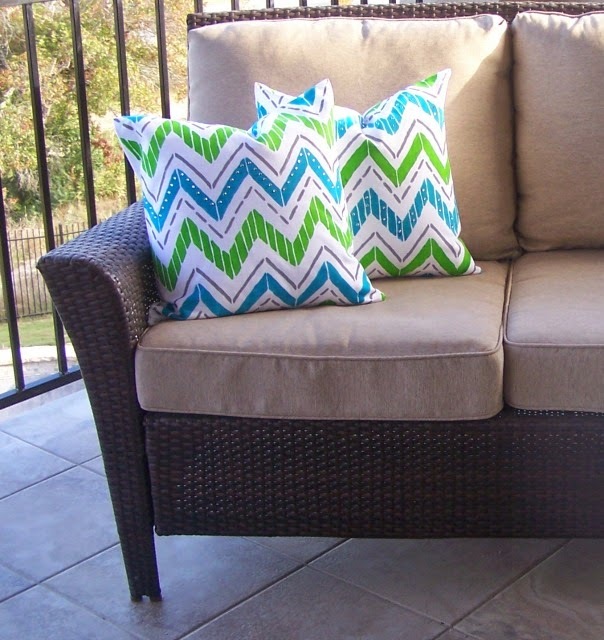 You can also add items on such as additional paint colors or studs, rhinestones, or tassels...or even more pillows! There is a great Paint-A-Pillow video with step by step instructions. I highly recommend that your watch it before beginning. 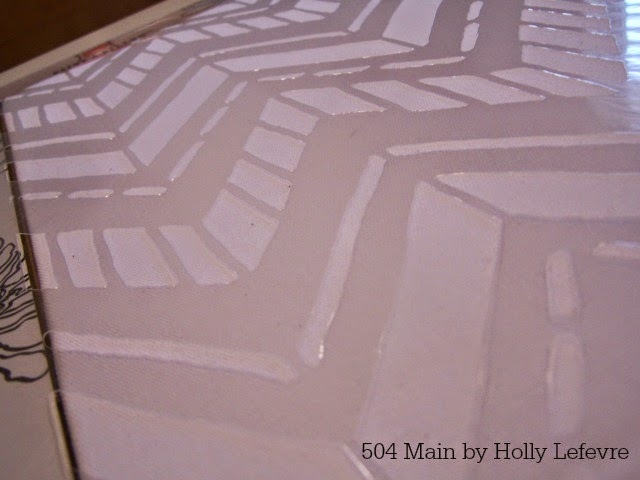 If you use one color of paint, using the foam roller is a great option for your stencil. I decided to use three colors, so I used the stencil brushes. Begin with your lightest color and work into your darkest. You may need to use the fingers on your other hand to hold the stencil down firmly for some of the smaller details. And for the edges. 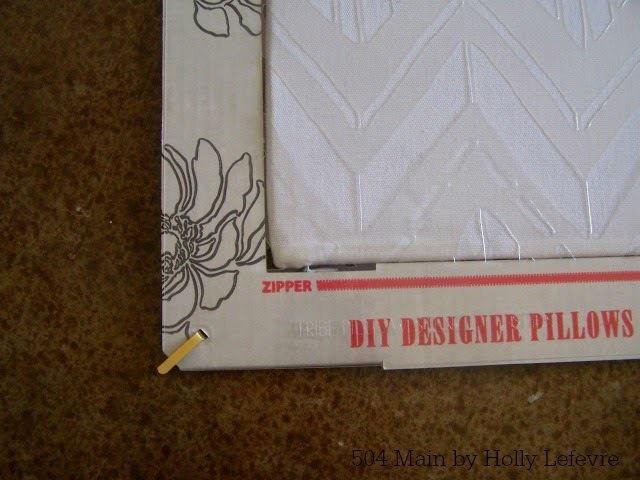 I truly think the stencil frame is what makes painting this pillow so flawless. 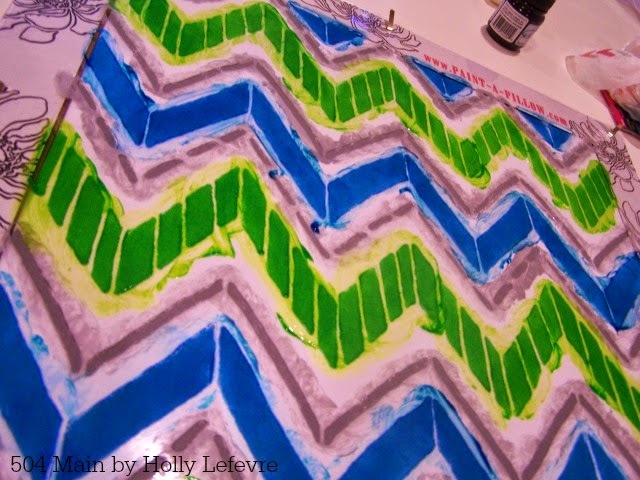 Mix your paint up well and place some on a tray. Work the paint into your brush, but make sure you do not have too much paint. 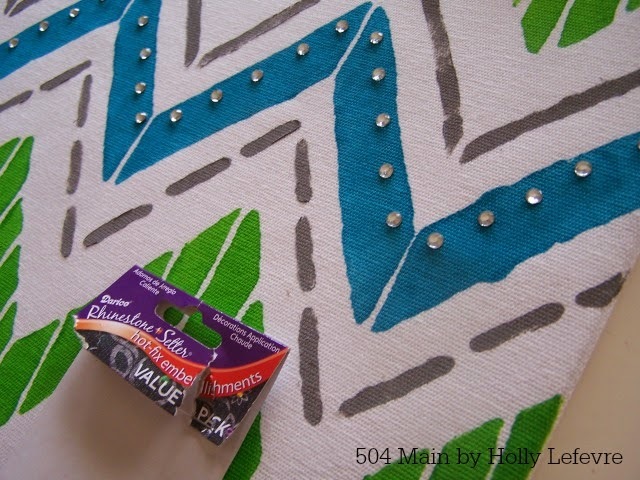 When your kit arrives, there is a small stencil and fabric scrap in it - use this to get the hang of the painting. I began with my lightest color, the grey. Then added my other 2 colors. I removed it the stencil...Then the pillow from the stencil frame and let it dry completely. I washed my stencil and prepped my second pillow. I used the same technique and same colors, I just mixed the colors around. Let dry. Once the pillows are dry, remove the cardboard inserts and heat set your design by placing a clean cloth over the pillow and ironing the entire design. Once the design was heat set I added some heat set rhinestones. I placed them (section by section), covered them with a cloth and set the stones by placing a hot iron on the rhinestones for 30 seconds+. Just as I changed up the colors on each pillow, I changed up the rhinestone design as well. Now all that is left is to insert your pillow form and decorate! If you want to come to Texas, you will find me sitting on my deck with my beautiful pillows! Most of my house is neutral with a pop or two of color...but for my outdoor area, I really wanted bright, happy colors and patterns. Here is your opportunity to win one of these amazing kits! 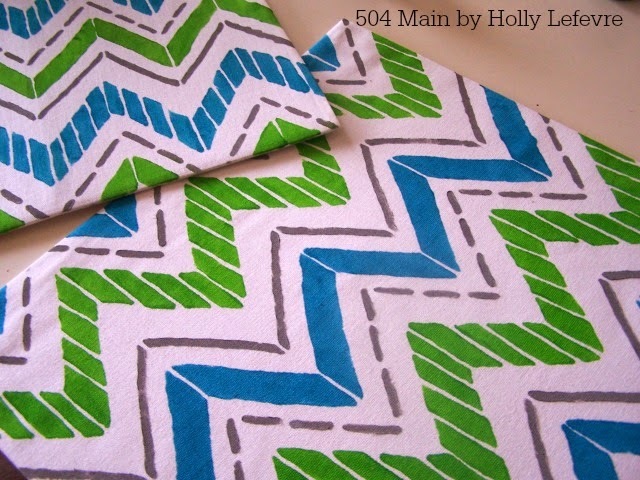 This post is written and created at 504 Main by Holly Lefevre disclosure: A pillow kit and/or other compensation was provided for this post. Adorable, Holly! I love the color combo. The pillow kit is AMAZING!!! I have been on the hunt for that perfect pillow for our bed and now I find out, I can create my own? LOVE! OH my gosh! I love this! I've been looking at the site for 10 minutes already and have no idea which one I will pick! I love them all! I'd probably go with one of the modern ones. I liked Zagora, Cascade and Blast. Seriously though, I love them all! I think I would have a hard time choosing just one... Love tribe paint or drifting arrow. 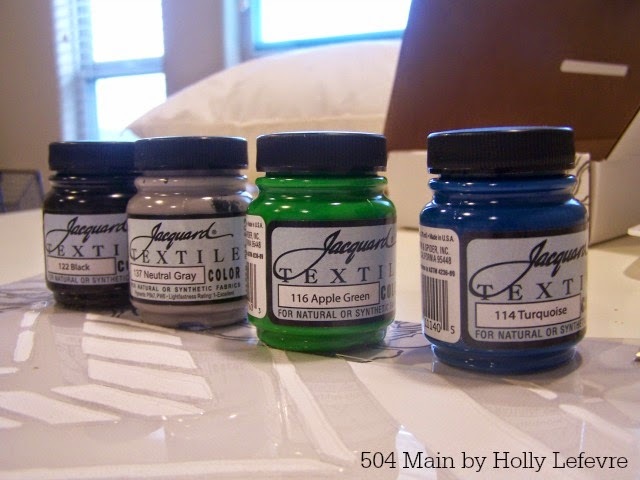 I am excited to see Paint-A-Pillow product on your blog today. I would love to make Perfect Catch from the Beach Collection. It would be a perfect addition to my lake home bunk room. I could choose many more too but you only asked for one. 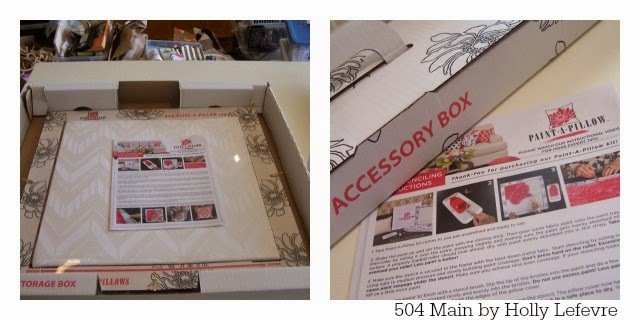 I am Pinning your blog because I am in Love with your work and this product. Ahhh! These are so cute! I love the kids' ones - the daisies and the butterflies, but HOW CUTE IS THE HEDGEHOG pillow! 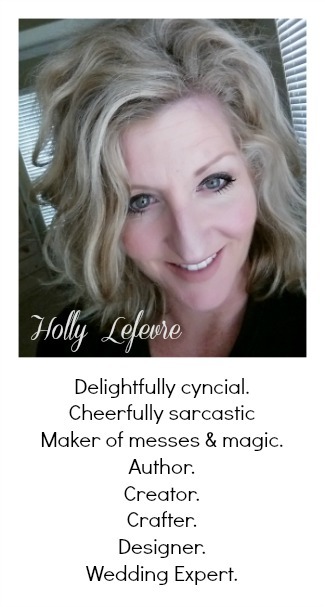 Holly, I am loving the product. Awesome and so easy! I found so many on their site that I would love to do. Beautiful pillows. They have so many cute ones, but I love the Diamond Damask case. I liked so many. The Blast paint a pillow in reds and oranges was awesome. I like the birds in trees kit! I like the wispy leaves design, but it's sure hard to choose! I love the peacock feathers one, as well as the design you featured in the post! I love Stephanie's lace in the classic collection. There are so many that I like but one that really caught my eye was the POPPY FIELD PAINT-A-PILLOW KIT. I would like to have the Hedgehogs Paint A Pillow Kit. The Butterfly Circle kit! So cool! FOSSIL SHELL PAINT-A-PILLOW is my favorite. It would look great on my bed!! I would choose the Tuscan trellis. My favorite is the Charlotte Paint A Pillow Kit, thanks! These are so cool! I love them all, but I really like the starfish one! We love the starfish pattern one! Our bed room is done in beach theme so this is cute. I would love to have the "Poppy Field Paint-a-Pillow Kit" from Paint-a-Pillow. It would go great with my home and it looks like such fun to make! I like the peacock feathers kit. I like the peacock feathers design! I would like to choose the RETRO FLAME PAINT-A-PILLOW KIT. I would let my daughter make it. 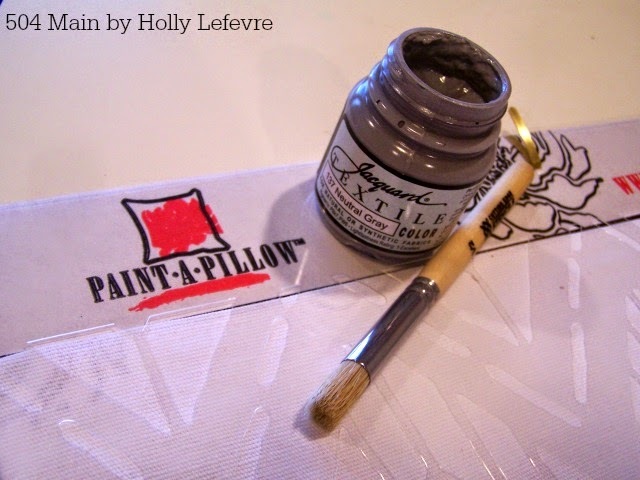 I really love the Alessa Scroll Paint -A-Pillow kit. Oh wow, so many awesome ones, favorites in order that I saw them, Bird on a Branch, Poppy Field, Candy Cane, Starfish Pattern and Dandelion! If I win, I will put these names in a hat and draw one! I would choose the Anna Damask kit in green but it was hard to decide.